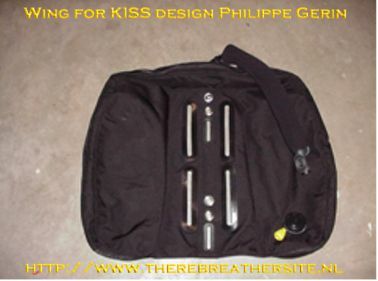 Here is some nice information Philip Gerin sent me about a new designed wing to fit the KISS rebreather. Wing designed for the Kiss RB. So far my quest for the perfect BC for the Kiss was not successful. Now, it’s over. Pat Duffy accepted to take the challenge and the wing for the Kiss now exists. Here is the wing I designed (with some help from Alan Studley) for Oxycheq to fit the Kiss rebreather. I started from a 50lbs wing and re-shaped it (length, width and thickness) to fit the Kiss shell. Pat Duffy did a really good job and the quality of manufacturing is top of the line. Buoyancy is 41lbs/ 18.5 kg. I paid a lot of attention to make it polyvalent and adjustable to different wishes a Kiss diver has as far as trim and buoyancy are concerned. It is why this wing features height adjustable slots to put it on the Kiss shell/back-plate. Considering that some of us also teach OC and/or dive singles (up to 15 litres) or small doubles (2x7 litres or 2x9litres), the wing also features 2 sets of grommets that are useful for these configurations. The result is a very a versatile and polyvalent wing that will suit a lot of different needs. 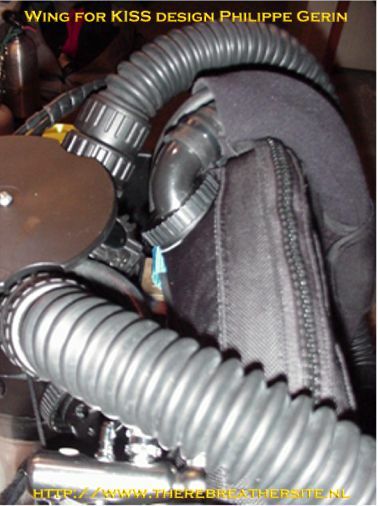 When designing it, I kept in mind that a rebreather diver must be able to access the inverted tank valves at any moment both out of the water and at depth with the wing partially or completely inflated. The sides are slim and start close to the back-plate. When at depth, the wing does not over-wrap the tanks completely and leave easy access to the valves. 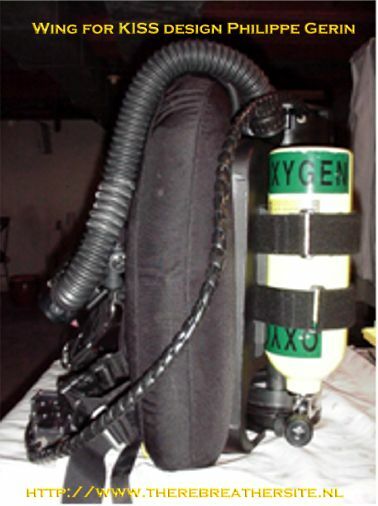 The result is a streamlined rebreather diver and good hydro-dynamic qualities. 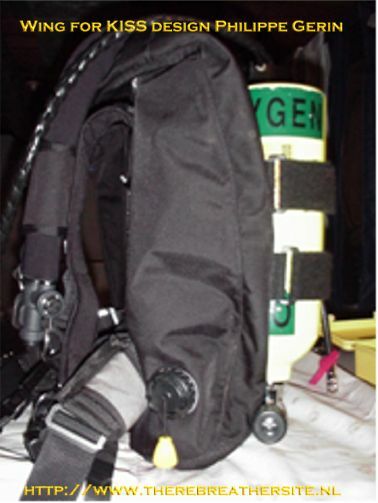 A RB diver also pays attention to the volume of upper part of the wing so it does not interfere with the breathing hoses and leave room for the loop. This is the case with this wing too so the upper section is slim and low behind the diver’s neck and the elbow does not come in contact with the loop OPV even when fully inflated. I am happy with the results I obtained concerning buoyancy and trim for all these configurations. Philippe, thanks for your contribution!